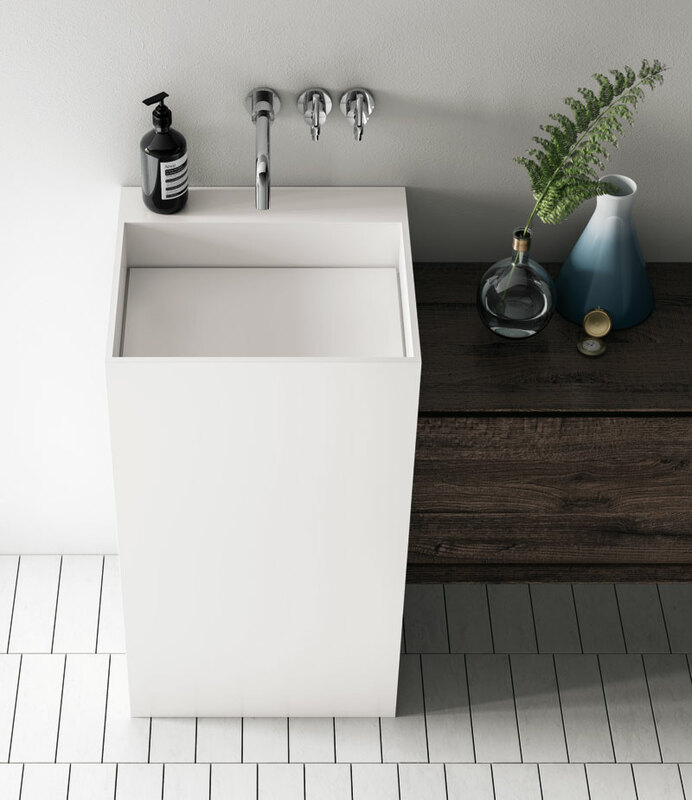 The Tecnoril® basin at the centre of the arrangement has straight sides and a slightly slanting front. 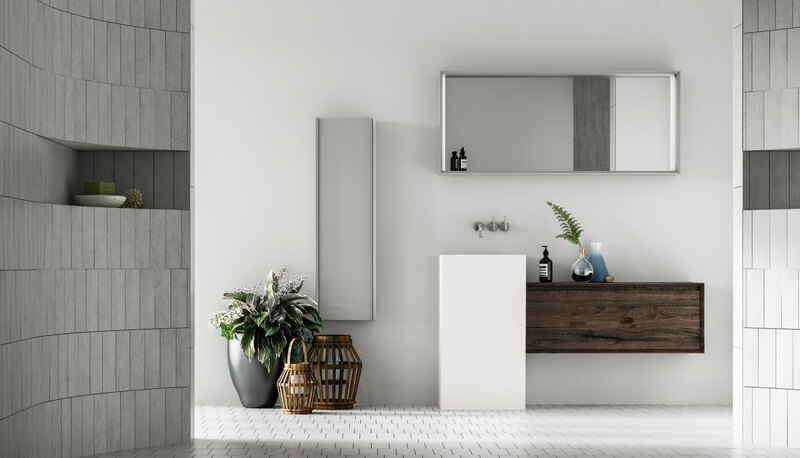 It is installed next to a wall-hung base unit, a tall wall unit and a horizontally-fitted, framed mirror with vertical LED strip lighting. 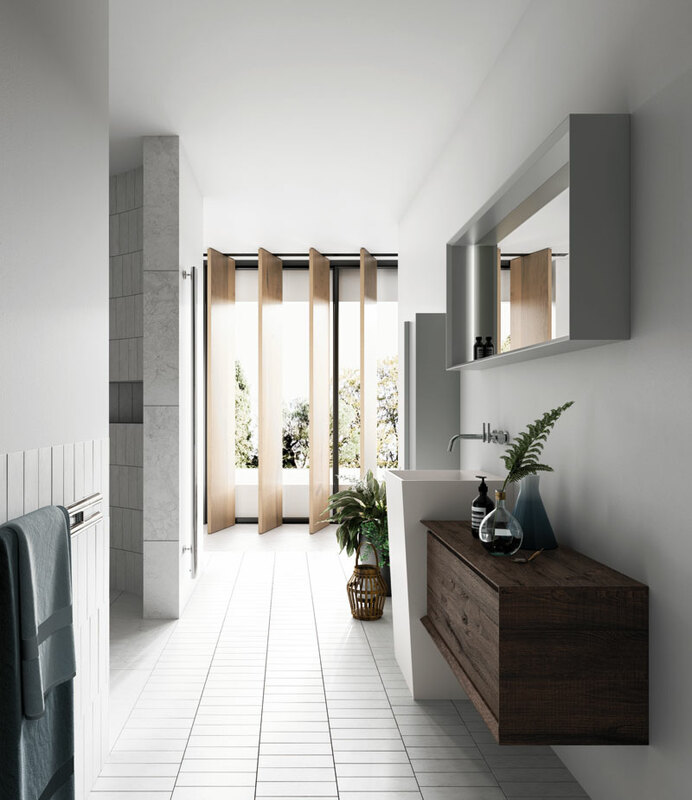 Deep white Tecnoril® is enhanced by pairing it with Agata Grey of the wall unit and the mirror frame plus Sherwood melamine of the wall-hung base unit. 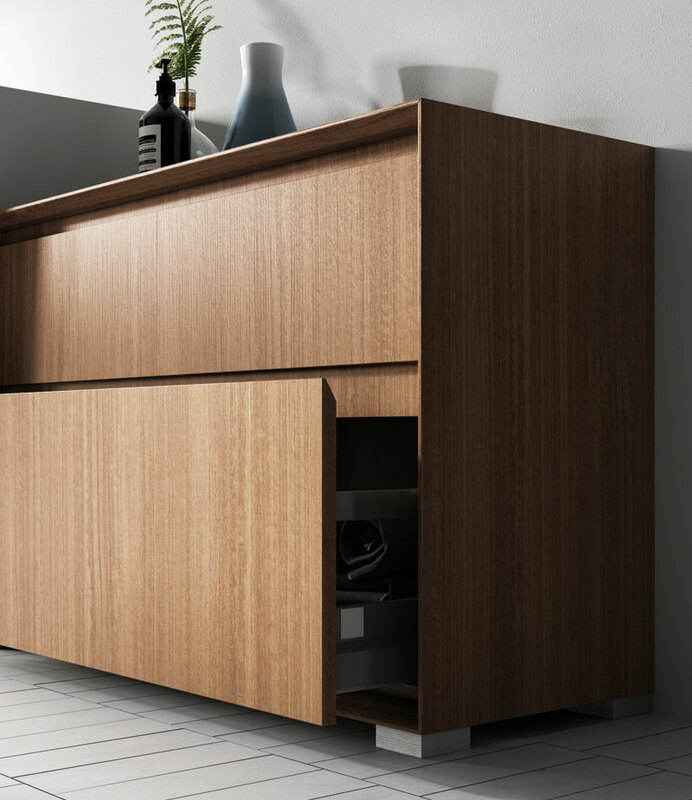 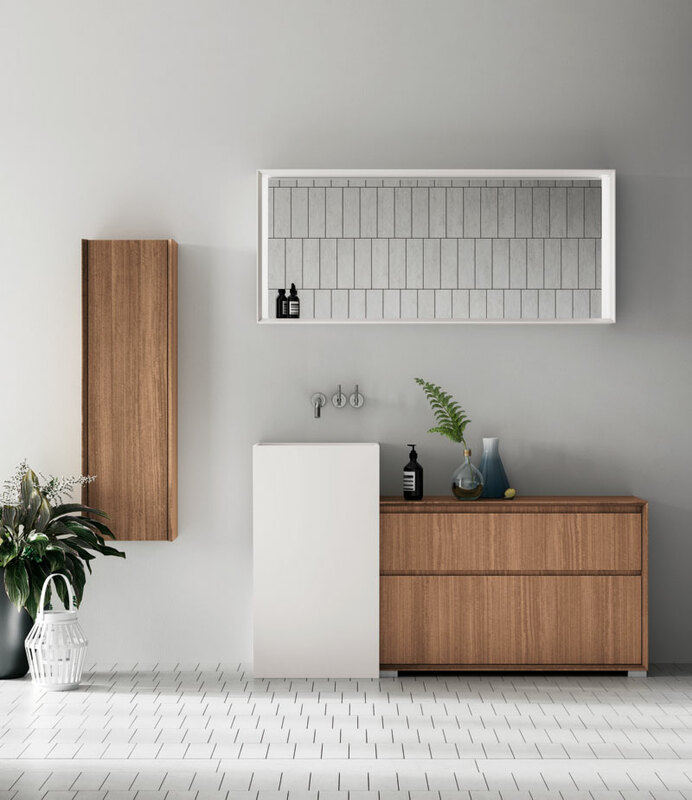 A different version of this arrangement with a floor- standing base unit – shown here with a Sablé Nuvolari finish – is ideal for renovated rooms, plasterboard walls or for any other setting that makes it impossible to hang heavy furniture.